Welcome to the headquarters of theVeil Universe, a unique blend of role-playing and world-building. Join in, pick a side, and engage in one of the most unique fictional universes in existence! Now is a time of creation, exploration, and battle. Come join in the formation of entirely new aliens, factions, and technology! For our returning veterans who prefer the PCG as imagined in the LUCL, it's still here. 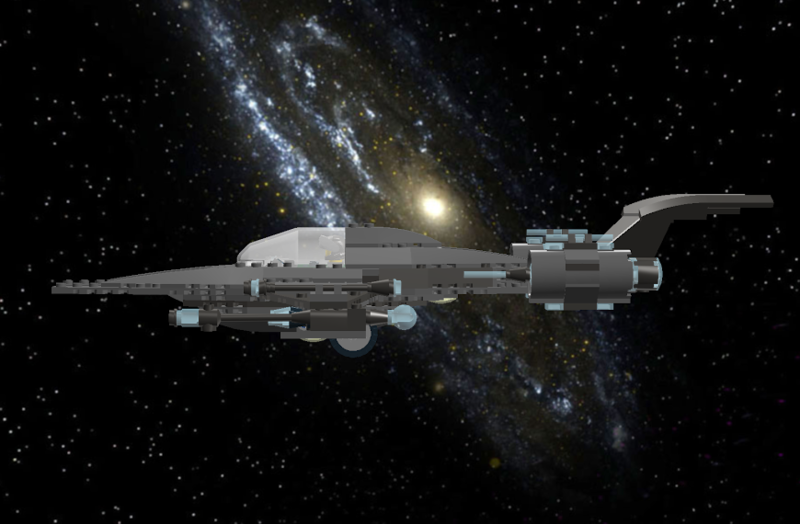 The Star Scout is a class of Star Fighters designed and produced by United Star Fighters Incorporated in service with Star Force, Star Fleet, and the United Federation of Planets. As its name suggests, the Star Scout operates as a scout vessel, and in some cases as an interceptor. The only problem is, since its introduction, the Star Scout has effectively been replaced by better fighters in all of its roles. By better, I mean MUCH better. The thing is, the Star Force was introduced during the "early years" of Star Force, back when their fleet was rather sparse. By sparse, I mean sparse in variety. Every other fighter out there fighting bad guys was either a Star Falcon or a Star Phoenix, the flagships. The Falcon and the Phoenix are multipurpose fighters. As in, they were good at everything they did. They had good speed, good handling, good defenses, and lots of weapons. The problem was, they were just good, which is exactly what they were built for, but when facing off against purpose-built fighters, the Falcon and the Phoenix were at a loss. So, with purpose-built fighters being the evident way to go, Star Force did so, putting out the Star Interceptor and the Spitfire Gunship, as well as acquiring the rights from the PCG to build the Sky Hawk Light Fighter. The only other roles missing were "Heavy Bomber" and "Scout." The Star Thunderbolt took the former, and the Star Scout took the latter. Now the issue here is that Star Force got a little, eh, hasty. The end result of their scout fighter was something that looked a bit like a Star Phoenix, which didn't just look like a Star Phoenix, but was bigger than it too! 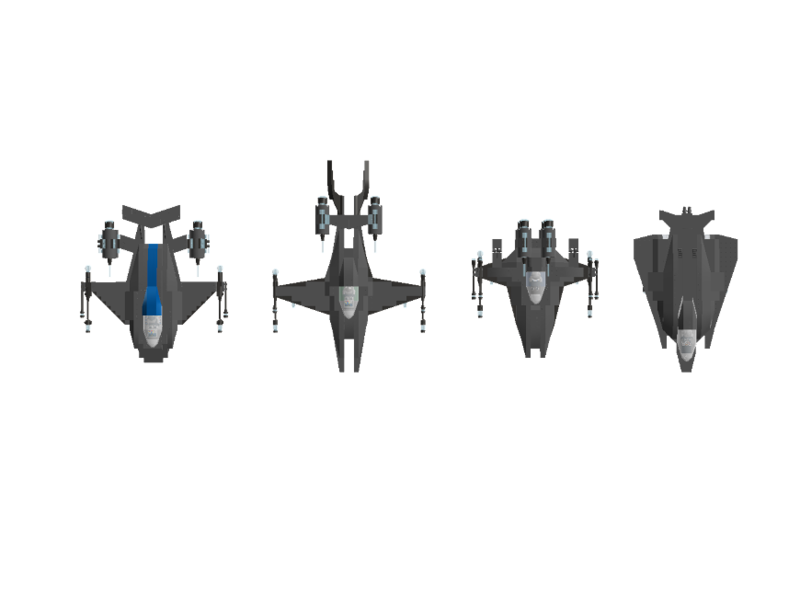 ^^Seen here from left to right are the Star Cruiser Class Light Bomber, the Star Scout Class Scout, and the Star Falcon Class Heavy Fighter. 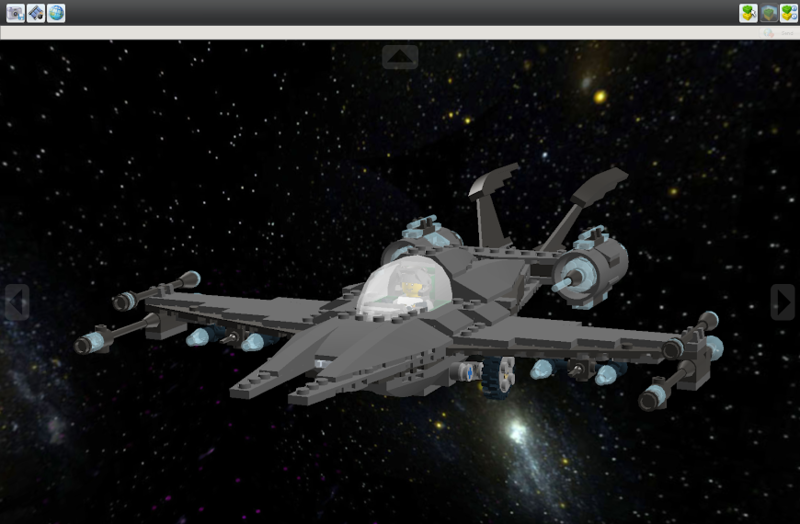 ....put next to the Star Hawk Interceptor, the Star Interceptor, and the Starling, the Star Scout dwarfs them. Despite being larger than many of its peers, the Star Scout is actually the lightest of the bunch. Size, however, isn't the only problem to plague the Star Scout. The Star Scout's huge wings make its turning speed rather slow. They also stunt the fighter's top speed when in an atmospheric environment. The wings have even been known to have structural issues in space. One daring pilot got it up to Warp 5.4 before the wings started to disintegrate. 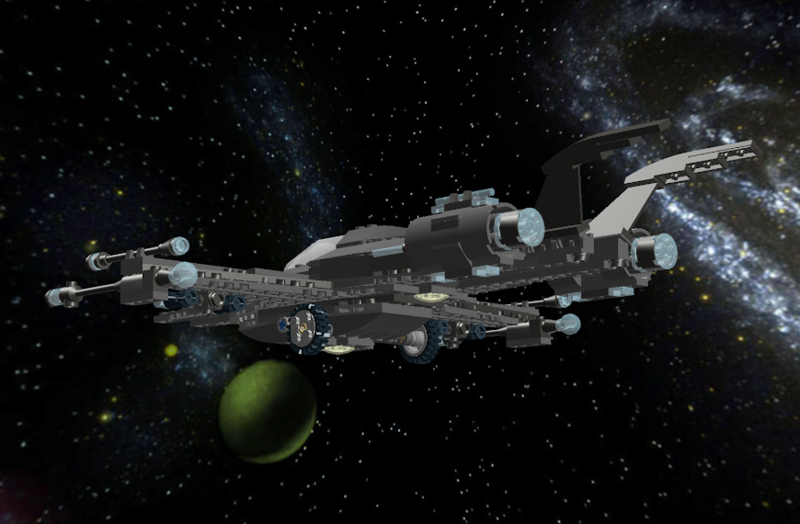 It also lacks in weaponry, as it is armed with 'only' four phaser cannons, a torpedo launcher, and some bombs. As for defenses, the Star Scout is a little lacking when it comes to armor, and it's equipped with only basic shielding. So the question is, is there anything that the Star Scout is good at? 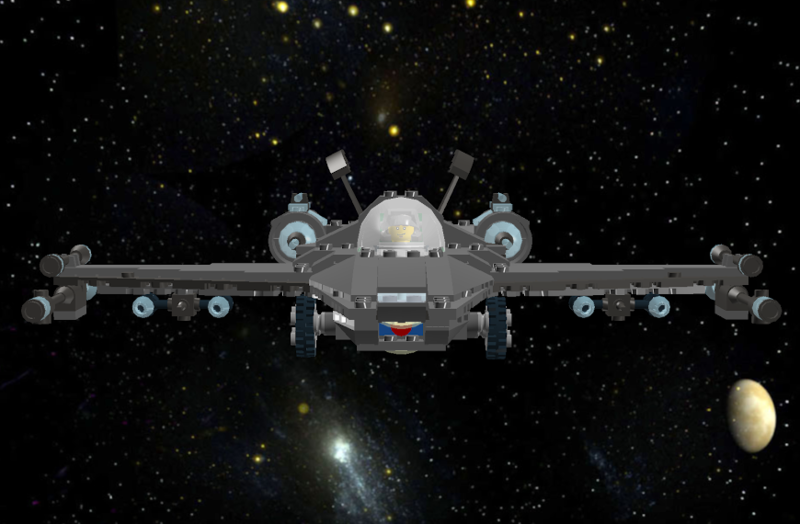 Well, because of its huge wings, light weight, and low profile, the Star Scout can climb to high altitudes very quickly when in an atmospheric environment. Its fuel economy is also substantially better than its peer fighters, potentially allowing it to go deeper into enemy territory - and back - than other fighters running on the same tank of fuel. No guarantee it would survive, though. So, that's the Star Scout. In space, to a point of course, "size matters not". It may be bigger, but it can still do it's job well, it doens't have to be smaller than the others. 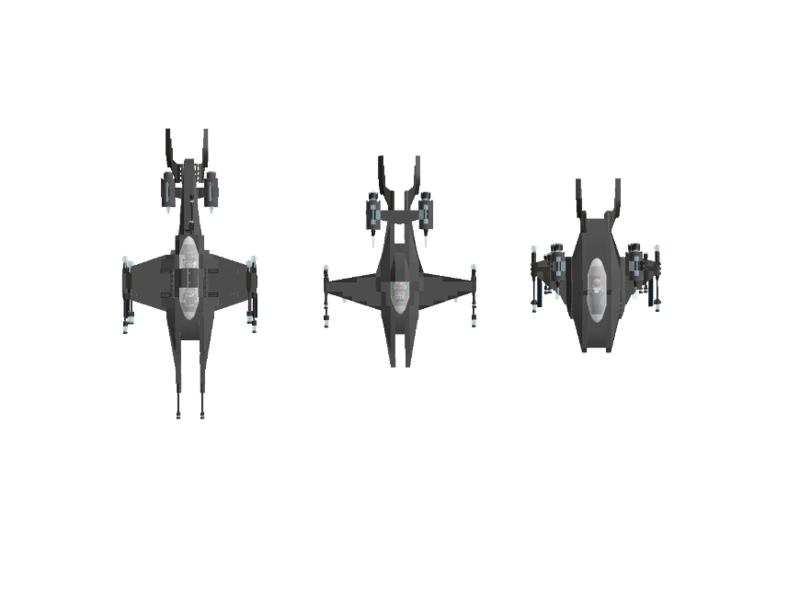 I like having the top-down comparison though, and I think you need to tkae all your fighters and do some side-by-side comparison shots to see differences n such, top down, front view, angled view etcetera. That would be nice. Someday someone may kill you with your own gun, but they should have to beat you to death with it because it is empty. I would actually think that a scout ship would be somewhat larger to accommodate better warp drive, larger sublight drive, improved sensors, increased fuel capacity, and lots of Twinkies to keep the pilot happy. Anyways, it's a good looking fighter, well done Talmid. "For honor, for valor, for cookies; and for friendship!"